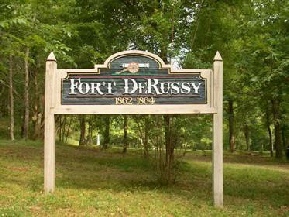 Friends of Fort DeRussy, Inc. These newsletters are written, edited and published by Steve Mayeux, President of Friends of Fort DeRussy. Anyone who has any comments, suggestions, or problems with the contents of this newsletter may contact me by mail at 7162 Hwy 29, Cottonport, LA 71327; by phone at (318) 876-3702; or by e-mail at admin@fortderussy.org . Compliments are always welcome. Constructive criticism is appreciated. Other communications will be considered on a case-by-case basis.